This holiday season, think before you click! Your support to local small businesses is essential to their success. 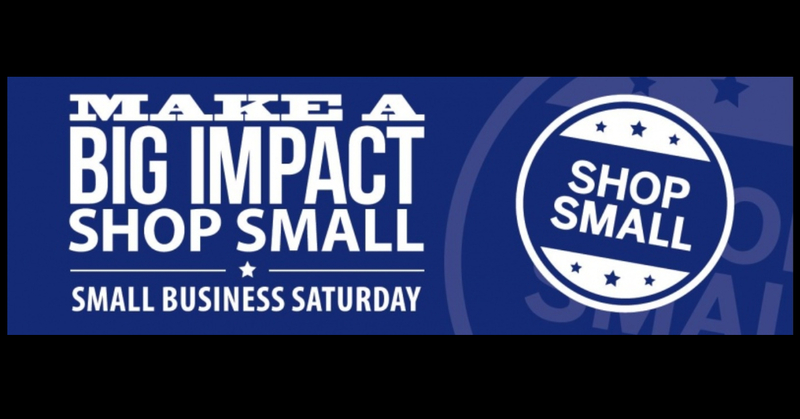 In 2010, American Express designed the Shop Small Movement to encourage shoppers to support businesses in their community, by building awareness to those businesses and how every dollar matters. American Express has many different offers and rebates, depending on which card you carry when you support participating businesses on Shop Small Saturday. Modern Male is a participant in this annual event. Spend $10 or more and get a $10 Amex rebate! Modern Male will be closed on Thanksgiving day but will be open for regular business hours before and after. Avoid the chaos and schedule some well-deserved relaxation with our high quality services. Thanksgiving week, Modern Male is offering two ways to relax: Book our Ultimate Relaxation Package with a one hour massage and a Bio-Targeted Face Treatment for only $140 (a $25 savings!) OR schedule a Manicure and Pedicure for only $75! This year, Modern Male will be putting together some great stocking stuffers to make your holiday shopping easy. In addition, we will also offer our mix-and-match 5 piece shaving sets complete with a razor, stand, badger brush, shave cream and blades for only $125! All items are packaged and ready to give. We will also have gift items paired with select gift card purchase. So, add Modern Male to your wish list and receive a gift that is sure to make you smile! PRODUCT OF THE MONTH – MOVEMBER IS HERE! November’s product of the month will highlight an important celebration – MOvember! In honor of our bearded gentleman, Modern Male would like to showcase a must-have product for this month in particular: Billy Jealousy Beard Kits! All kits include a beard brush, wash, and conditioner. Book an appointment ONLINE today and upon check-out, ask our front desk staff about our current deals!